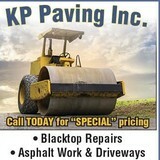 KP Paving Inc. has been in the paving business for over 40 years, with a stellar reputation, we ensure that you will always be happy with the work that we do. We are fully insured and all of our work in guaranteed. We are a local business located in Beautiful Western North Carolina. We do both residential and commercial work. 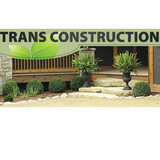 Trans Construction is a family owned business offering commercial and residential asphalt paving and grading. Our focus is quality, and we strive to provide our clients with a finished product that exceeds their expectations. If you are a residential client with a small driveway or if you have a commercial property, we bring the same quality standard no matter the size or scope of the job. Our workers are very experienced and have an eye for detail and troubleshooting. We are the only company in the upstate that provides Miropaving over existing asphalt surfaces. I have over 30 years experience in all types of masonry work, ranging from hotels and grocery stores, to poured walls, foundations, driveways, basements, sidewalks, fireplaces and just about anything else involving brick, block, stone or concrete. References of contractors to homeowners are readily available. From installation to repair, Marshall, NC driveway contractors are responsible for a variety of planning, installation, construction and driveway maintenance services. Driveway materials. While most driveway contractors in Marshall, NC primarily work with asphalt, they are also experts on the wide range of available driveway materials. If you are looking for something different than a standard asphalt driveway, your pro can help you select driveway pavers or customize a brick driveway design. A driveway installation and maintenance professional may work closely with a Marshall, NC builder, landscape professional or various manufacturers and suppliers. Find a Marshall, NC driveway installation and maintenance professional on Houzz. Narrow your search in the Professionals section of the website to Marshall, NC driveway installation and maintenance. 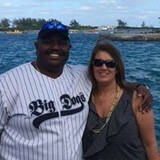 You may also look through Marshall, NC photos to find examples of driveways that you like, then contact the professional or contractor who worked on them.